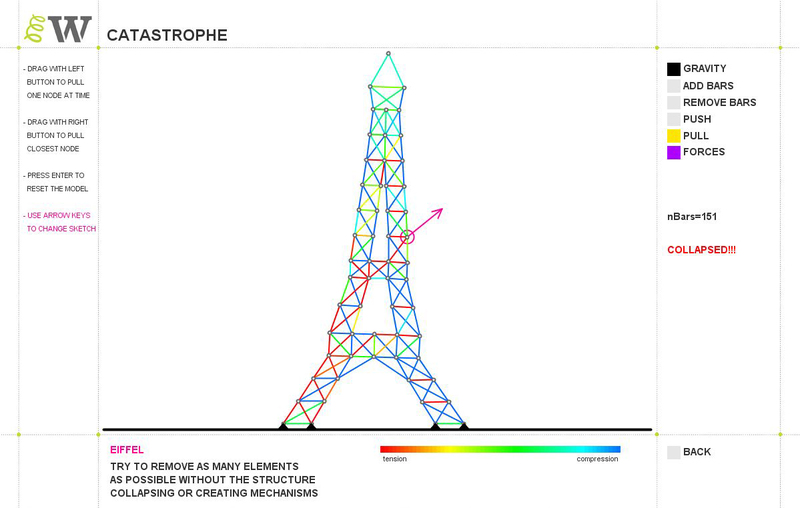 Catastrophe is an interactive app that lets you manipulate 2D structural forms under real-time simulated physics. 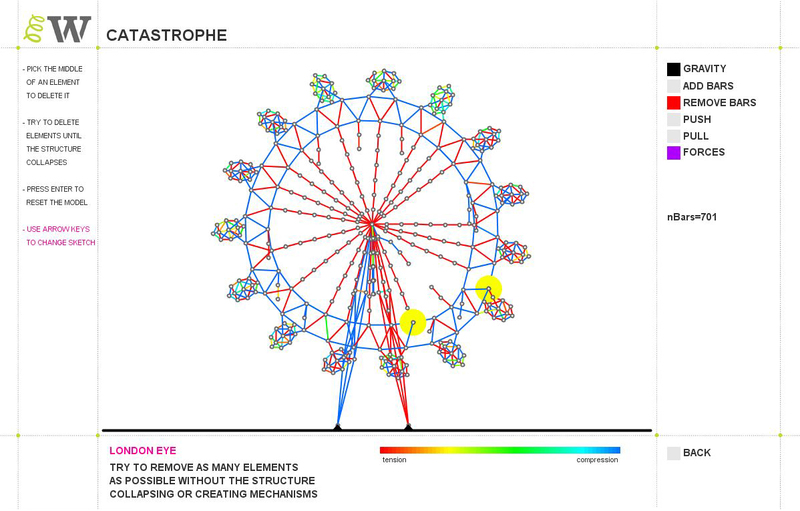 The game-format challenges you to remove as many elements from the structure as possible without causing it to collapse. 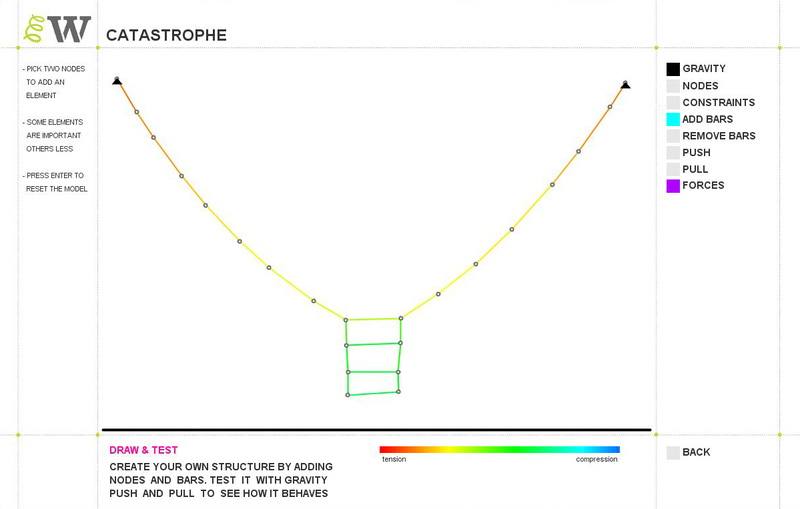 Catastrophe is based on a mass-spring system where particles are linked by linear elements that only have axial stiffness. The main reasons for such simplification are that; the application is designed to be a qualitative teaching aid with computational efficiency (fast convergence), interactivity and internet access being more important than numerical accuracy. Even so, mass-spring systems have been proven to simulate complex phenomena with a striking resemblance to reality.